Traditionally constructed dulcimer. 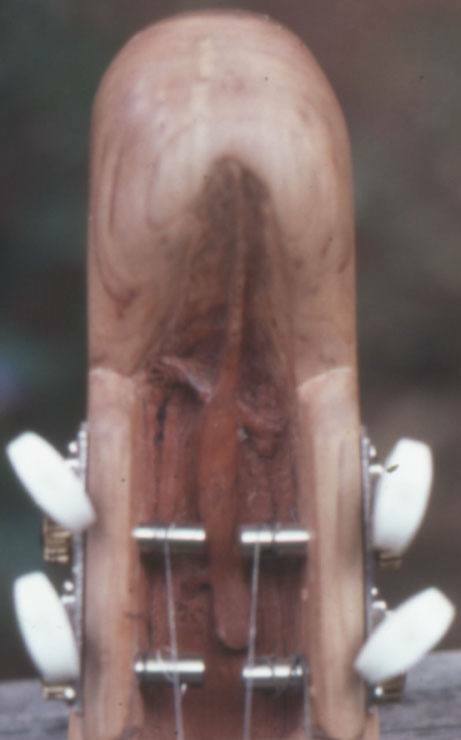 Maple top, back and sides; walnut diatonic fretboard; deep sea scallop inlay; bone bridge; black cherry peghead with carved life-size red-backed salamander. Given to a friend. Scroll down for a closeup of the salamander. I like amphibians. I was rather proud of this sculpture.